A magnficent book, for grown ups. Fear not. Dive in. This is the sort of book one keeps around for decades. Books sometimes are like children's clothes - they have to be grown into. This is one of them. Look for yourself. Avoid others' conclusions. Look for yourself. Like a grown up. You'll find nothing. And everything. 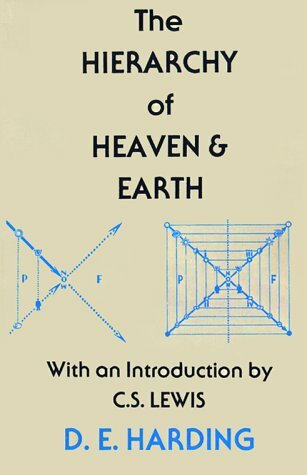 THE HIERARCHY OF HEAVEN AND EARTH : A New Diagram of Man in the Universe. By D. E. Harding. With an Introduction by C. S. Lewis. 268 pp. Gainesville : University Presses of Florida, 1979 (originally published by Faber and Faber, London, 1952). The present book has been reprinted a number of times, and I suppose all Douglas Harding fans have at some point acquired a copy of it. After all, Harding Sensei's fantastically important discovery of the spiritual technique of "reversing the arrow of attention" places him squarely in the forefront of the world's spiritual masters, and if a figure such as Bankei can be considered one of Japan's three greatest Zen Masters (the other two being Dogen and Hakuin), I see nothing wrong in considering Douglas Harding as, in a sense, Britain's greatest 'Zen' Master. Given this, everything Harding Sensei writes ought to be worth reading. Unfortunately, although this was certainly the case with the ORIGINAL manuscript of 'Hierarchy of Heaven and Earth,' the present 'popular' edition of it was so severly cut by Harding himself for publication as to leave it, though still a philosophic masterpiece, impenetrably obscure, and, so far as I am aware, very few readers actually succeed in making their way through the book. With pretty well all of the great mass of examples and illustrations found in the original extensively annotated 650 folio-sized pages of the manuscript having been cut, the shortened version becomes just too difficult for most folks to follow. Readers who are as brainy as C. S. Lewis should have no trouble, but unfortunately most of us aren't. Those who would like to read what Harding actually wrote, the original and uncut version of 'Hierarchy of Heaven and Earth,' will have to find the sumptuous facsimile of Harding's typewritten manuscript. At the urging of his colleagues and friends, this was published in a limited edition of 300 numbered copies by The Shollond Trust, London, in 1998. It can be found by searching the web, and a few copies may still be available. Those who have read it have greatly enjoyed it, and have found it to be far more intelligible than the shortened version. 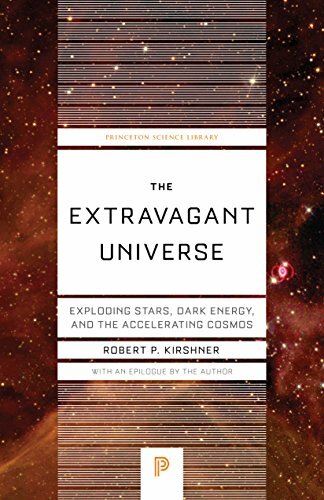 One of the world's leading astronomers, Robert Kirshner, takes readers inside a lively research team on the quest that led them to an extraordinary cosmological discovery: the expansion of the universe is accelerating under the influence of a dark energy that makes space itself expand. In addition to sharing the story of this exciting discovery, Kirshner also brings the science up-to-date in a new epilogue. He explains how the idea of an accelerating universe--once a daring interpretation of sketchy data--is now the standard assumption in cosmology today. This book invites any reader to share in the excitement of a remarkable adventure of discovery. Robert Kirshner's book, 'The Extravagant Universe: Exploding Stars, Dark Energy and the Accelerating Cosmos', is another in a series of interesting texts on cosmology written essentially for those who are science-illiterate, or at least only somewhat informed, and who wish to know some of the key insights and discoveries of our time regarding astronomy. Particularly at the end of this text, where Kirshner explains the importance of this kind of scientific research (why would the government or private agencies want to spend money on research that has little if anything to do with addressing the desires of humanity, encapsulated by Kirshner, as wanting to 'rich, safe and immortal'?) for the average person - it is not just for intellectual fancy or whim, but the long-term implications of understanding the universe can affect our lives in ways we can't even contemplate today. Kirshner's narrative looks at many of the key discoveries, controversies, and personalities of the field of astrophysics, theoretical physics and cosmology in the twentieth century. Kirshner lays the groundwork not with Einstein (as so many texts do) but rather goes behind Einstein to the earlier work of Gauss and Riemann, with mathematics that, at the time, would not have been considered useful in the ways Einstein's general relativity made it. Kirshner looks at observation (Hubble Telescope, observations of background radiation through various methods, etc.) 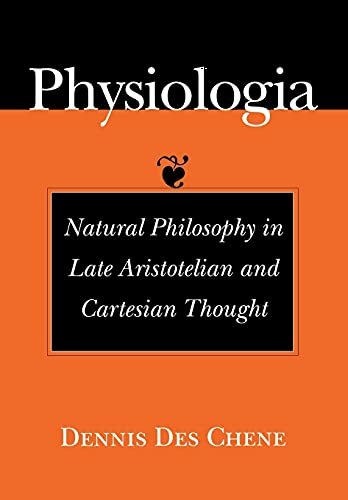 as well as theoretical conjectures to show the strand of thinking from the early universal constructs to present day theories. Kirshner traces the history of recent astronomy and cosmology through researchers in history such as Einstein and Hubble as well as persons he knows personally and professionally at work in the field today. Particularly in the last half-to-third of the book, where Kirshner brings in this personal level of acquaintance with the people involved, the science comes alive in a very human way. Kirshner is good at showing the limitations, as well - sometimes you just get lucky, or your gifts complement others. With regard to Hubble and Hale, for example, Kirshner recounts the evidence that they did not really understand Einstein's general relativity or the mathematics of his cosmological thinking; nonetheless, they continued their observational researches, and when Hubble discovered the expansion of the universe, Kirshner states that you don't have to know all of the mathematical and technical details involved in science, but rather 'you just have to face in the right direction and go forward' with those things that you can do! Some of the key concepts Kirshner develops include the life-cycle of stars, the overall shape and structure of the universe, the idea of dark matter/dark energy that has gone unknown for so long, and the ideas of reaching back to the origins of the universe and drawing conclusions for the acceleration of the universal expansion. 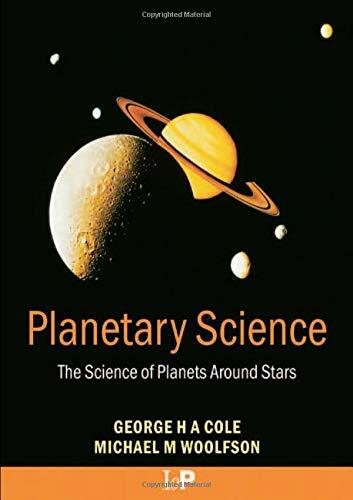 Kirshner does not develop the areas of planetary science or solar-system type ideas in this text except very peripherally - this is a book for grand topics on a cosmic scale indeed. The book is very readable and accessible to any with an advanced high-school or undergraduate beginning ability in science. How could it not be, given an author whose mis-spent youth watching 'Rocky and Bullwinkle' cartoons is confessed in the endnotes? There are technical terms, and (gasp!) even a few equations thrown in here and there, but understanding the narrative is not dependent upon being able to process the equations. There are colour plates in the centre, with other black-and-white photographs and images throughout. In keeping with the non-technical nature of the text, endnotes are kept to a minimum, and recommended readings are few. An interesting text, and a very good subject. Dr. Kirshiner spins a good yarn. The focus of the book is mostly on the story and history of the accelerating universe theory, presented in a very readable style. I would only fault the book in that after reading it, while I'm now comfortable with the idea of the accelerating universe, I would have liked to see more of the science and math involved. It's a great overview, though; recommended! "Extravagant Universe" is one of the best books on the market if you're looking to fathom the recent discoveries regarding the apparent acceleration of the universe's expansion. Kirshner is not just an outside observer but a direct participant in the science, so you get a perspective from someone "who was there." Kirshner explains robustly how a special class of star became recruited as a sort of measuring stick for studying apparent and actual brightnesses of distant supernovae, whose unexpected dimness provides strong evidence for an accelerating spacetime expansion. Moreover, Kirshner delves into the still impenetrable mystery of the so-called dark energy that seems to be driving the expansionary push. Perhaps the book's best asset is its relative modesty. While Kirshner does suggest some possible implications of the recent findings, he's careful not to go too far, noting the unanswered questions and the ease-- even probability-- that new data and interpretations may overthrow the current consensus altogether rather quickly. Such a perspective is often missing in much of the lay science literature and is a major failing of many books on the market. That Kirshner, who himself is on the leading edge of these discoveries, holds back in comparison, is a testament to his discipline as a scientist. If there's anyone not interested in the possibility of life on other planets, they must keep to themselves. Along with "Who am I?" and "Why am I here?" "Am I alone?" ranks as one of the classic Big Questions asked by all curious minds. 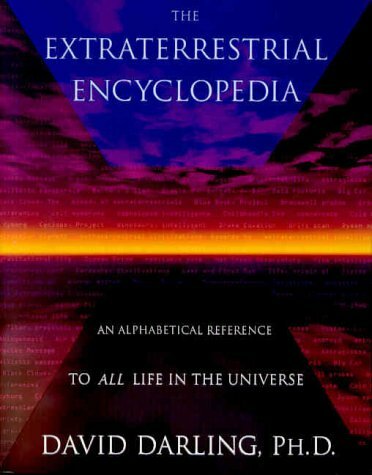 Now comes the first detailed reference book covering the search for an answer: The Extraterrestrial Encyclopedia by astrobiologist David Darling. More than 2,000 entries define and explain conceptual, fictional, theoretical, and technical thinking about exobiology, copiously referenced and cross-indexed for easy searching and browsing. Start with SETI (why not?) and after poring over the eight-page entry, you'll find yourself trying to decide whether to check out SERENDIP, Iosef Shklovskii, or the Arecibo radio telescope next. David Darling, prolific author of a wide range of popular works on astronomy and allied subjects, has favored us with this encyclopedic take on things beyond our planet. I say "favored us" because Darling is a writer who writes with the kind of clarity that we all wish we could achieve, and is therefore a pleasure to read. Included here are objects and energies in space, instruments and machines for exploring space, mythological references to the heavens, historical cosmic events, catastrophes from space, ideas about space, space programs (some still only on the drawing boards), space scientists and scientists tangentially involved in some aspect of the extraterrestrial, scientists who have mentioned something otherworldly, historical figures that have mentioned something otherworldly, science fiction writers, movie and book titles about space, aspects of other sciences that could be applied to things extraterrestrial, etc., etc. But this is not a dry reference book. On the contrary it is exciting to read and fun to flip through. Opening it at random to page 164 I find "Galileo (spacecraft)" which I learn is the "first spacecraft to conduct long-term observations of Jupiter" with Jupiter in bold face so that I know I can cross-reference it if I like. There is a little table in the entry giving the launch date, the date of arrival at Jupiter and other information about the spacecraft. Darling also uses bold-faced arrows in the text to point to related entries. Here an arrow points to "Jupiter, moons of," which has further information about the Galileo spacecraft. The next entry is "Galton, Francis (1822-1911)" making me wonder what the old social Darwinian had to do with the extraterrestrial. Turns out he proposed in a letter to the editor of the London Times in 1892 that sunlight be reflected toward Mars to catch the attention of any possible Martians. Next are "gamma rays" and the "gamma-ray burster" (two full-page columns worth) carrying me to the next page where there is "Ganymede," the Galilean satellite that is the largest moon in the solar system. There are long entries on topics that Darling considers "of central importance or popular interest" such as Frank Drake's famous equation (Darling evaluates each variable) and SETI which includes a list of programs from 1960 to 1999 with information about the investigator, the location, frequency used, etc. One senses that one of Darling's main tasks in compiling and writing this book was to decide what to include and what to leave out. How pertinent does something have to be to be included? I wasn't surprised to see paleontologist Stephen Jay Gould with an entry since his idea of punctuated equilibrium (also included) depends in part on catastrophic environmental changes, some brought about by extraterrestrial events. Nor were the entries on the elements from the periodic table surprising. (There's a very nice entry on the biological abundance of elements both here and in space.) But I was surprised to find many entries on biology and microbiology, including entries on DNA and RNA. And yet, one can see how they are relevant in thinking about extraterrestrial life. As a side note, remember Whitley Strieber who wrote the book Communion: A True Story (1987), purporting to be an actual experience with aliens?--a book, by the way, for which he reportedly got a million dollar advance. Well, according to the entry by his name here, he confessed in 1993 that he made it all up! There's a chronology at the back of the book identifying events under the categories, "The Search for Life in Space," "Science Fiction," and "World/Scientific Events" beginning in 580 BCE. There are also several pages devoted to Web Sites with URLs. Darling has footnoted his text with 634 references giving book titles and journals for further reading. One final thought: In the future there will be an encyclopedia devoted to every subject and to every creature and to every person under heaven. And those encyclopedias will be on the Web (as will future editions of this book, I predict). And it will be part of our life experience to update our encyclopedia, as Darling will surely have to do with this book in a few years. Thorough, clear, and occasionally whimsical, this book is an invaluable reference to keep by your side as you read about the search for extraterrestrial life and, indeed, as you read about most space topics. Information is presented in hundreds (even thousands?) 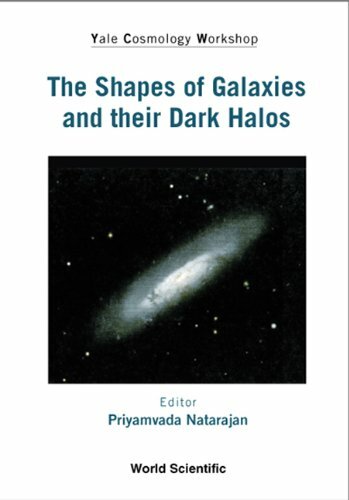 of well-written entries explaining and describing topics as diverse as the role of extraterrestrials in science fiction to Cepheid Variable stars, from laundry lists of nearby star systems to biographies of prominent scientists. The length and breadth of the information presented is truly impressive. All information is throughly cross-referenced, with more detailed references indicated by a dark arrow. Entries are written with an interest in the search for extraterrestrial life, but the book is a fine general reference work for amateurs interested in all space sciences. The only complaint I have is that I wish there were more detailed illustrations for some concepts; if half stars were available, I might rate this book 4-and-a-half for this, but it deserves better than a four, in my opinion. All in all, an extremely valuable reference, as well as a fascinating read in and of itself if you are interested in space science. Excellent!!!! Finally, a Reference Guide for ALL of Us!!!! Is the universe infinite or just really big? With this question, the gifted young cosmologist Janna Levin not only announces the central theme of her intriguing and controversial new book but establishes herself as one of the most direct and unorthodox voices in contemporary science.For even as she sets out to determine how big “really big” may be, Levin gives us an intimate look at the day-to-day life of a globe-trotting physicist, complete with jet lag and romantic disturbances. This book is engrossing on two levels: it presents science in a manner that is intellectually invigorating but it also compels as personal narrative. The author, a young and highly successful astrophysicist, gives a sharp and accessible account of current theories of the evolution, substance and topology of the universe and, using vivid imagery, presents an intriguing case for regarding it as finite. This crystal-clear instruction is interspersed with a diary which demonstrates how even the most scholarly pursuits are conducted against a backdrop of domestic relations and material considerations. If this sounds risky, it isn't. The author is eloquent, observant and witty. I write as an arts specialist with a professional commitment to bringing science to artists and the wider public and am an avid, often critical, reader of 'popular' science books. I find the science writing extremely lucid and the thread of personal preoccupation ingenious on a number of levels - giving the reader's brain a rest just when it was beginning to protest and forming a tersely-told story all on its own, inversely heightened by the science. Since when has a physics book been funny? Janna Levin is a scientist from a refreshingly unpretentious new generation and writes for her contemporaries but also for anyone in the wider public with intelligence and a natural curiosity for matter - and matters - great and small. 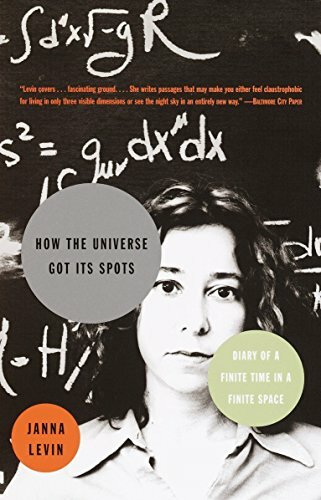 Dr.Janna Levin, a physicist/mathematician/topologist, steps out of the halls of academe and her personal life, and takes center stage at The Riddle of the Universe Theater and shows herself to be a brilliant performer. She is a connecting link between the musings of Oswald Spengler, P. D. Ouspensky & Alfred Korzybski on one side and Sir James Jeans, Sir Arthur Stanley Eddington & George Gamow on the other. It's a pity that James R. Newman (THE WORLD OF MATHEMATICS)is not around to comment on her performance. Like David Lynch's movie, she admits that "The world (universe) is strange on top and wild at heart," but unlike an Edward Gorey character does not despair or lose her subtle sense of humor. Humor is an avis raris in cosmology, but here it shines like a dewdrop in a cesspool. Practicing eggheads will immediately realize that this book should be on the bookshelf next to Carroll's THE HUNTING OF THE SNARK along with the commentary upon it completed by F. C. S. Schiller in 1901.
is a mark of prejudice. The rational person will regard the question as open; but don't despair, a solution just might be on the horizon. The author is an astrophysicist and has all the right credentials in the scientific world to perpetrate her theories on the nature of the universe. However, she has targeted this book to a broader audience. Had I not seen her promote her book in a local bookstore I might not have had my interest piqued. Also, my book discussion book selected this as its monthly choice and I was determined to read it even though, at first glance, some of the scientific diagrams seemed impossible to me as I have no background whatsoever in this area. Wisely, though, the book is constructed as a diary of her personal life as well as explanations of her work in a letter format. She actually wrote these letters to her mother, and therefore I thought her descriptions would be simple. They weren't. However, by pushing myself to read every word, even though much of the theory was difficult, I made a discovery. All of a sudden I was introduced to concepts that I had never heard of before, no less understand. Although I'll never remember the details, I learned about Einstein and the theory of relativity, how the topology of the earth makes it a lot more complex than a perfect sphere and what the concept of "infinite" really means. And, most important, I realized just how big our universe must be and how we humans are just a tiny part of it. As this is probably the only book I will ever read about the world of physics, I must thank the author for taking me on a journey to new and unexpected places in the small universe that is my own personal mind. The book is not an easy read, but for anyone willing to explore new frontiers, I definitely recommend it. Levin attempts to describe in lay terms a foundation for cosmology, including the big bang, finite-vs-infinite size of the universe, and geometrical shape of the universe. It is a formidible challenge given the nonmathematical approach. She writes her book as a compilation of letters to her mother, with supplemented diagrams that are nonmathematical. Her argument for a finite universe is persuasive. She also writes about her life as a physicist/mathematician/artist including her relationship with a boyfriend musician. They break up in the book, with him resurfacing as an "appendix" in the end. I met author Levin in a book signing event in Milwaukee and she updates us...she is married with a newborn. The book is well written, lucid with many personal touches. A female physicist is a rarity and subsequently, this book, with its emotional touches and relationship referrals, is distinct and unique. But this aspect is refreshing and not distracting to the reader. 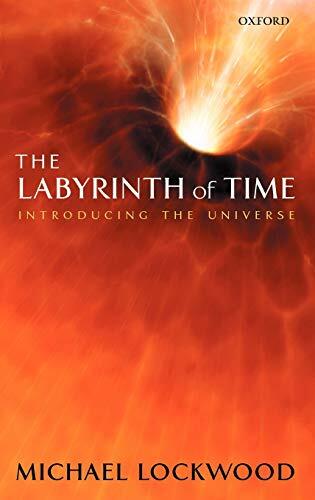 I recommend Levin's book as a refreshing "4" stars and my only criticism, mildly, is the short address of string theory and future predictions on astronomy research. If you have ever wonder how new stars were found, and how scientist came up with the alignment of the planets. 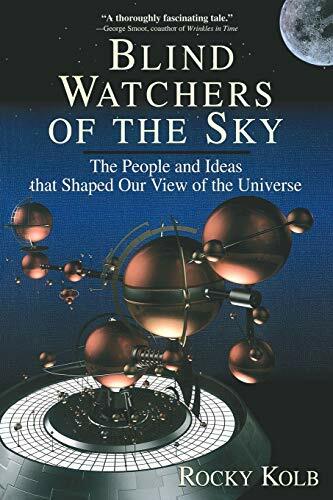 Then read Blind Watchers of the Sky:The People that Shaped our Views of The Universe. Discover how the scientist came up with their theories, and the basic history of cosmology. The book flows very well and is interesting. Learn more about the thought of the scientist that have spent most of their lives studying the sky. Unlike the other reviewers here, I *had* to read this book. Why is that? Because I took Natural Sciences 101 at the University of Chicago, and it happened to be taught by the very same Rocky Kolb. I must say, I was a little leery about reading a book written by the prof, I mean, how self serving is that? But let me tell you, this book captivated me more than any other that quarter. It's clear and concise, but most importantly, its humor keeps you wanting to read more. He writes just like he teaches. That's his voice speaking from the pages, and he's speaking something he knows a lot about. 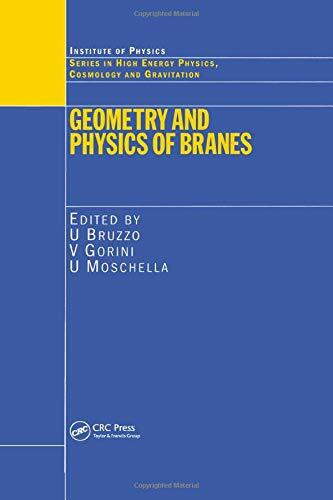 If you want to get the basics of the history of cosmology and get in on the ground floor of a few of the more complicated cosmologiacl principals, all in an entertaining read, this book is for you. I don't remember the last time I read a book that was as packed with fascinating facts about astronomy as this one. Better still, Mr. Kolb's dry wit makes the book a very quick read. If you're interested in the history of astronomy and want a book that takes you past the basics, read this book. I can't recommend it highly enough. When I first picked up this book at my local library, little did I know it would become my obsession and my friend for the next week or so. The more I read, the more enchanted I became with its well-wrought out stories, its amusing, sometimes touching, anecdotical commentaries; and, the sheer joy it evinces throughout on relating this particular epic of the scientific quest for knowledge and discovery. 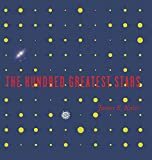 I specially enjoyed the insights into the tribulations and serendipitous breakthroughs every great astronomer, every great blind watcher of the sky included in Kolb's book, had to confront and interpret for our greater understanding of the universe. Unlike other books that dismiss mathematical details altogether for fear of alienating prospective readers, Kolb does the next best thing: it includes it all at the end! Loved the biography well written and thorough. Lowell was a terribly misunderstood genius. Also, the new book in reprint Mars: As the Abode of Life Lowell's proof of life on Mars is worth a try. A well written biography of Percival Lowell. Could be called - The Mystery of Cosmology - Tops!!! Marvelous. Reads like a novel. 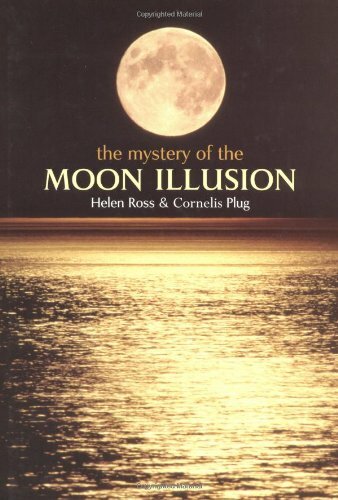 Okay, I KNOW I'm a little biased, being an astronogrl and all, but this book is an AMAZING read! 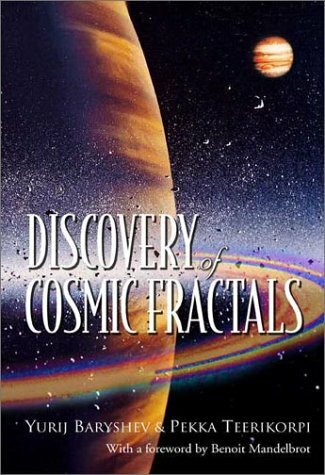 It reads like a novel, and yet contains so many interesting astronomy, astrophysics, and cosmology concepts, that it will blow you away. 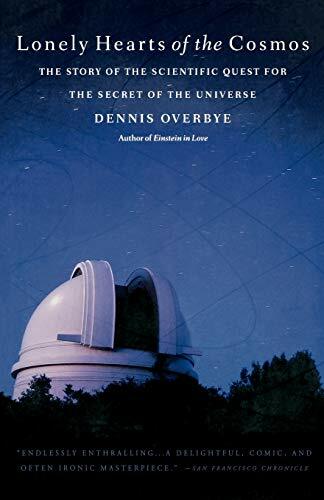 Covers everything from the big bang to inflation to black holes to string theory to dark matter... Dennis Overbye (the author) has hob-nobbed with so many big names and been able to glean personal interviews that you begin to feel like you know these people and their astronomy struggles. And don't worry; This book contains no equations. This book makes me excited to do astronomy and it is the best book I have read this year and will always remain one of my favorites. A story about the human beings behind the scientific discoveries: their dirty tricks, resentments, subversive attacks; in one word, their not so scientific behaviour in their competitive struggle to solve cosmological problems, e.g. the Hubble constant. The central figure of the book is Allan Sandage, chief astronomer at the Mount Wilson telescope: his evolution from star watcher to computer freak. This book is not an introduction to modern physics. Readers should have a fairly good knowledge of modern cosmology and quantum physics. Although the discussions about the Hubble constant, dark matter and the Guth inflation are impressively treated. This book has spectacular views of major stars/ clusters. The 3 brightest stars of the Southern Hemisphere are depicted. These stars are Sirius, Canopus and Alpha Centauri. Important scientific rule structures are explained. i.e. The apparent magnitude of a star is a function of distance. temperature. Important statistics are provided for stars: i.e. Blue-White Stars have 32-50 illumination with Ionized Helium. Infrared stars are 1000 degrees with prominent methane bands. 880 Light Years with a 2600 times the sun luminosity. data about stars. It is perfect for a school science project. The book is written for a large constituency of readers. i.e. museum administrators and many others. I was not a big fan of Kaler's until this book. I had read his "Extreme Stars" -- very difficult to follow with his writing style, but still a good book. I begged the library to order this one, which they did. Very impressive -- I was enthralled. 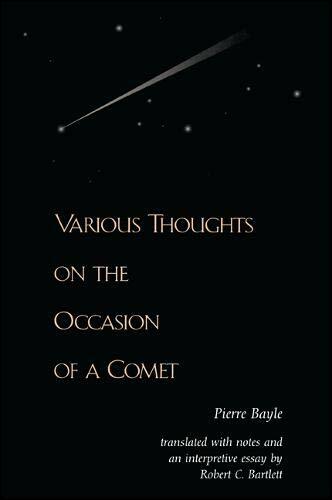 He discusses each star with true passion and on a level the ordinary amateur astronomer can understand. If someone can get me excited looking at a boring 5th magnitude 51 Pegasii, then he's done a good job :) --- he has. Excellent illustrations to boot! Buy this book - you won't be disappointed. Update: January 2004 - after 3 times checking it out from the library -- decided it was too good of a reference book to pass up and ordered from Amazon.com at discounted price! A true gem - I will observe outside, then use this to enrich my knowledge of some of the stars I've looked at afterwards. All the "biggies" are here - Arcturus, Sirius, Capella, Vega, Betelguese, and some other obscure ones -- but all so well chosen that it's hard to argue with his 100 picks! I wish he'd write another on his next top 100. I am also half through his "Little Book of Stars" and recommend that too! Will write a review on that when I am finished. 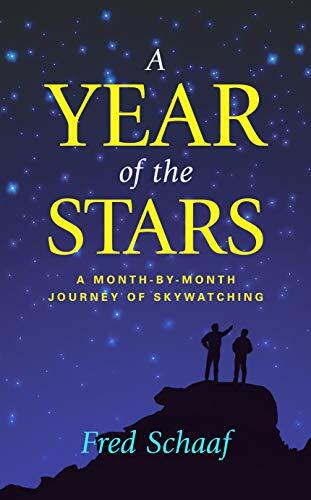 Bottomline: Buy this book - you won't be disappointed if you are an astronomy buff. No Katharine Hepburn or Al Pacino here. Instead we have Betelgeuse and Cygnus X-1, Deneb and MXB 1730-335 and 96 other illuminators of the night sky as selected by University of Illinois at Urbana-Champaign Professor of Astronomy James B. Kaler. They are called "the greatest" mostly because they are significant in one way or another and partly because they are Kaler's favorites. Of course included are Alpha Centauri, our closest interstellar neighbors, and Barnard's Star, the fastest moving star across our line of sight, and Polaris, the North Star, friend to navigators. The sun is included for comparison and reference. Kaler begins the book with what he calls an "Introduction and Allegro" in which he explains what stars are and how they are classified and how they evolve. Then come mini essays on the each of the chosen stars, what's interesting and important about them, their history and vital statistics beginning with number zero, the sun. He identifies the "Residence" of each star according to astronomical constellation, alternative name, its class such as F2 giant (Beta Cassiopeiae), its visual magnitude, its distance from us, its absolute visual magnitude, and its "Significance" (e.g., ESO 439-26 is "The faintest known white dwarf.") 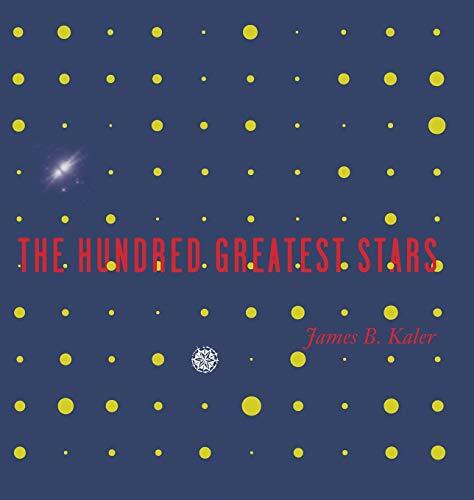 Because of the range of different types of stars that Kaler has chosen (with wildly differing system configurations), double and triple stars, stars with known planets, pulsars, neutron stars, black holes, etc., reading through the various essays amounts to a modest astronomical education in itself. There are color plates pertaining to each star, sometimes of the star and sometimes of the area of the sky in which the star can be found, and sometimes pertaining to something significant about the star such as a colorful drawing of the inflowing gas from the giant surrounding the black hole at Cygnus X-1. There's a modest glossary and three appendices, one listing the stars by their various names for easy recognition, the second by their evolutionary status (Main Sequence stars, Neutron stars, etc. ), and the third by position (by Declination and Right Association). This works well as an introduction to stars and their nature and as a source of reference for the amateur star-gazer. 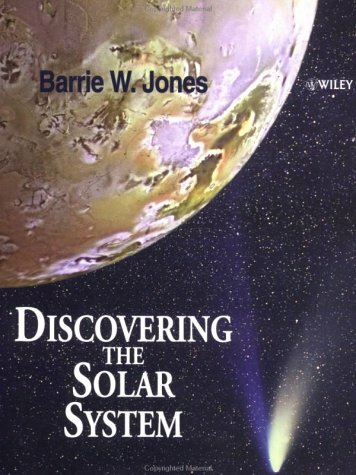 It is an attractive book that would make a fine gift especially for a young person just becoming interested in astronomy. It is technical in spots, but overall it is readily accessible to the general reader. One look at a starry night sky is often enough to arouse an individual's curiosity and generate a desire to discover the wonders of the heavens.But how do you learn the identities of all those stars and constellations and when they appear?What is a planetary nebula or a globular star cluster--where do you find them and how do you tell them apart?Acclaimed popular science writer Fred Schaaf has created this eloquent guide that both beginners and veteran skywatchers will find rewarding. According to Schaaf, the secret to learning astronomy is to begin with one night and one part of the sky or one constellation and then let the passing nights add to your framework of knowledge and sights.To that end, after a introductory primer covering the basics of astronomy, the rest of the book uses a month-by-month organization, highlighting the constellations, stars, meteor showers, and other special phenomena visible each month, with many fascinating insights into the science, history, and lore of various celestial objects.Schaaf's many years of writing for "Sky & Telescope", the "Old Farmer's Almanac", "Mother Earth News", and other publications make him the world's leading expert in the monthly format of astronomy sights and the perfect guide through the year of the stars. The title of this review is from Leo Bustad, DVM, PhD. Please read the essay "The Star Thrower" for a wonderfully poetic discussion of what sets us apart from "animals" and what connects us. For anyone who has ever thought about how we should act in relation to other species, this essay will provide an intriguing viewpoint. For anyone who is a caregiver to animals, this essay is required reading. Throw away the rest of the book if you want, but you MUST read this essay! Loren Eiseley's dark, brooding prose is unique in the annals of nature writing. 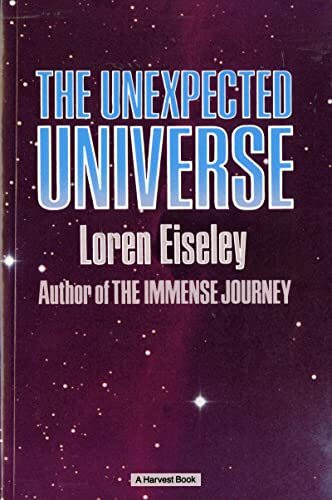 "The Unexpected Universe" features some of what are considered Eiseley's best essays. Heavily autobiographical and deeply personal, these essays are not cheerful ramblings on the joy of communing with nature. They are bleak, lonely musings on the human condition. Sometimes, Eisely's scholarly style gets the best of him - his penchant for expounding upon the works of obscure authors taints some of his work with a pompous air. But his best moments more than make up for his bad ones. Eiseley's universe can be profound, ethereal, and dreamlike. Life, Eisely shows, is a journey of discovery filled with moments of awe, fear and sorrow, and occasionally, even with moments of joy. His writings rekindle our sense of wonder for a universe whose intricacies and secrets extend far beyond the boundaries of human understanding. There are some observations worthy of consideration and perhaps even remembering hence 1 star. It can be said that Loren Eiseley writes very well indeed, mostly about himself. This book goes far beyond being a "highly personal" book and comes very close to be an autobiography. If Mr. Eiseley intended to convince the reader that he had read a lot of books he succeeded. Whether or not he asimilated the information or just quotes from them is not so clear. He was not the first or only person to be intrigued by the so called alphabet shell but he is the only one, so far as I can determine, to assume it contained an important message from the universe. This man who sees messages of great import from the universe in a sea shell undertakes to explain both Darwin and Thoreau for the dolts of the world incapable of understanding what they read. I can see no other reason for him to explain so carefully what they meant by what they wrote. We are mighty beholden to him. Someone once said " Naturalists and Biologists are strange fellow or they would not be Naturalists and Bioligists". Even with that as a given it is hard to reconcile the personal observations of the Author with the Title of the book. He may have found them enthralling because they were his and feels everyone will be simply thrilled and dutifully impressed. All careful observers as they journey through life have seen as much or more but in the main they do not try to foist there observations or personal feelings on the public. A more appropriate title, I suspect, would have been, "I, Loren Eiseley". One thing can be said with certainty. He is really full of himself. I think every book this man ever wrote is a masterpiece. His style is thoughtful, haunting, and beautiful. They are all good. 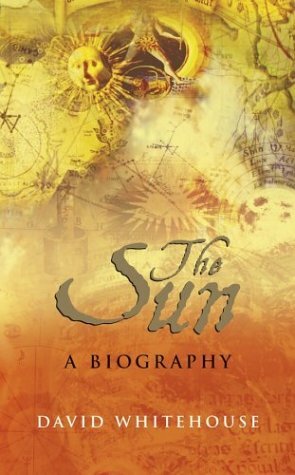 Theodosius Dobzhansky described him as "...a Proust miraculously turned into an evolutionary anthropologist..." and Ray Bradbury wrote glowing reviews of many of his books including this one.